HCHY keeps track of currents data on current trends related to alcohol and other drugs, as well as issues faced by youth. 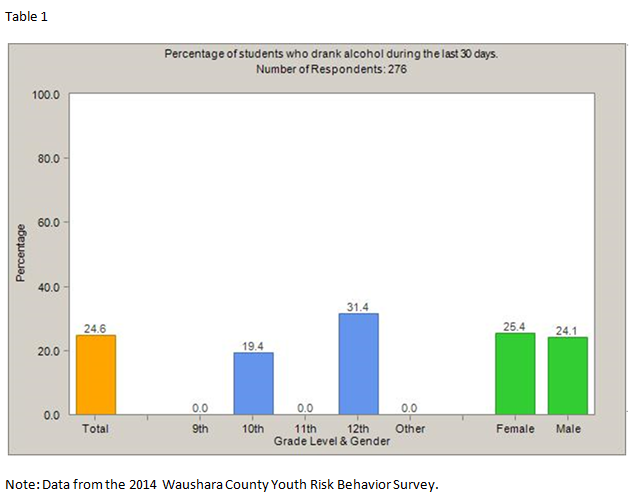 In March of 2014, Tri-County, Wautoma, and Wild Rose School Districts surveyed youth in 6th, 8th, 10th, and 12th grades using the Wisconsin Youth Risk Behavior Survey. The intent of this survey was to gather information related to current county-wide trends. The following charts show the county-wide results from that survey related to alcohol, cigarette and marijuana use. 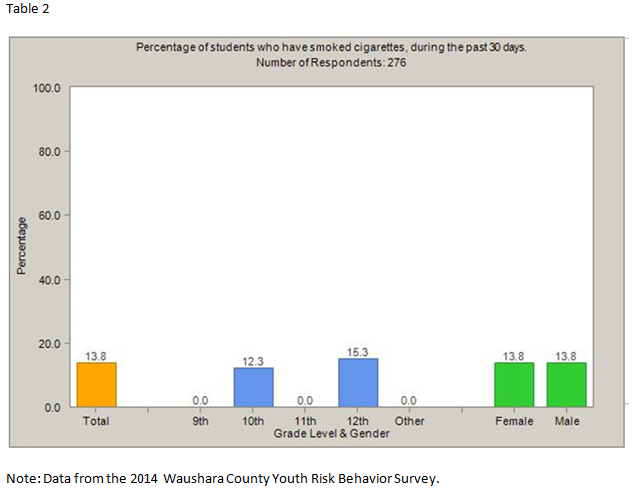 Use of alcohol and cigarettes has declined in Waushara County High Schools by almost 50% since the posted survey results in 2011. 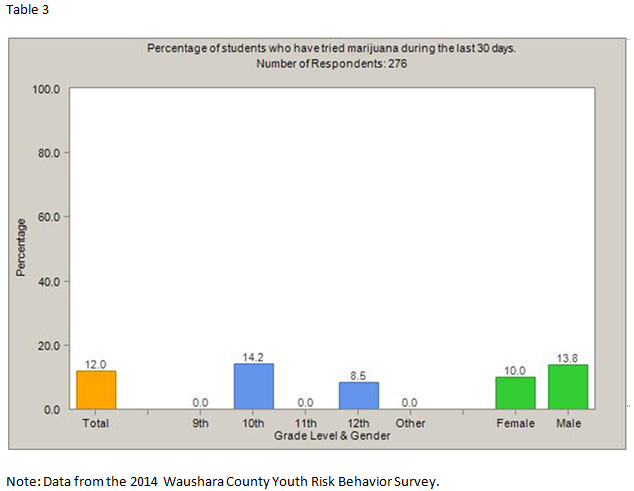 Use of Marijuana by High School students has decreased slightly in the same time frame. It will be interesting to see how the data from the next survey (March 2016) compares with the 2014 data.